When the Insurance Institute for Highway Safety (IIHS) announced that they would be conducting their first-ever testing on car headlights, we thought they might be able to shed some light (see what we did there?) on one of the automotive world’s most underrated safety features. We think of airbags and seatbelts as absolutely essential in case of a collision, and rightly so, but headlights can prevent crashes before they even take place. Well, the results are in, and they aren’t good for headlights as we know them: of the 31 different models and 82 lighting systems they tested, only one vehicle received a “good” score, and that was only with an expensive, optional headlight package added on. 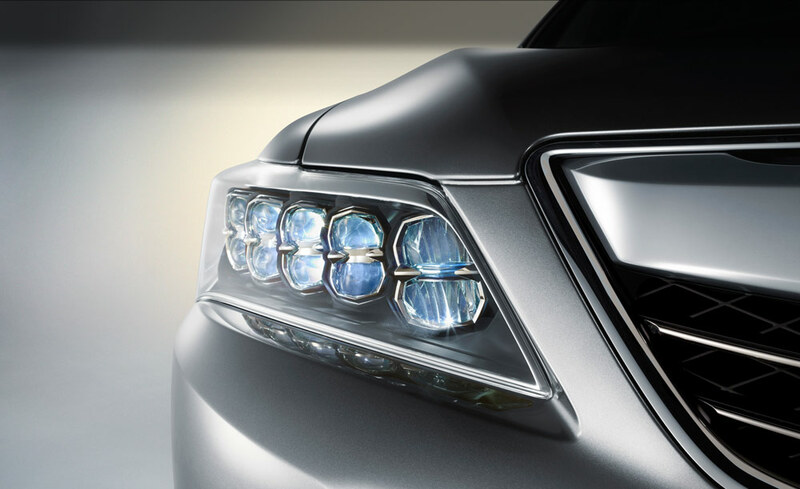 According to the IIHS study, almost all new cars on the road are sporting headlights that could use improvement. Why is it that in 2016, when cars are on the verge of driving themselves, we can’t make headlights that illuminate roads without blinding oncoming traffic? To put it plainly, because outdated government vehicle lighting rules won’t let us. In 1968, years before the National Highway Traffic Safety Administration (NHTSA) even existed, a law was passed stating that all cars must have high beam headlights, low beam headlights, and nothing else. This means that innovative technologies which don’t fit into either category, like those debuted by Audi and BMW in Europe, are illegal on our side of the pond. Stranger still, the NHTSA, which awards government vehicle safety ratings, is sticking to its guns. Hopefully, this very disheartening IIHS study will change that stubborn stance. After all, wouldn’t you feel safer driving at night knowing that your headlights were powered by lasers?